The midfielder had wanted to leave St Mary’s during the summer. Morgan Schneiderlin has insisted that he is focused on playing for Southampton despite being denied a move to Tottenham towards the end of the transfer window, the Daily Star reports. Tottenham’s new captain – See who Spurs new captain is. SEE MORE: Hottest Celebrity Football Fans. The Saints had sold a number of top quality players over the summer with Luke Shaw moving to Manchester United for £30 million and Adam Lallana joining Liverpool for £25 million. 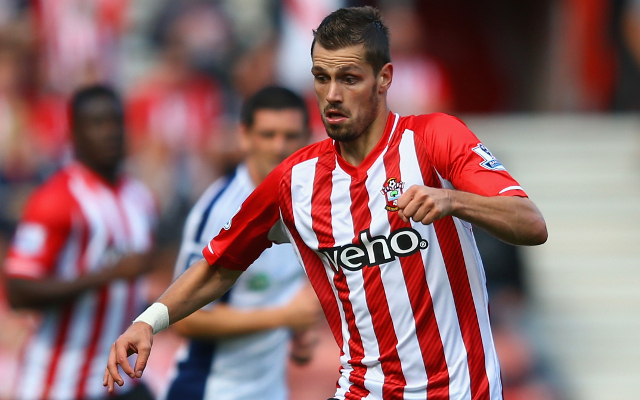 However, when Schneiderlin wanted to move to Spurs, Southampton’s hierarchy blocked the potential transfer because they had sold too many of their best players. Despite not getting his wish, the 24 year old still wants to do well for the south coast club. “I’m fully focused on Southampton. Sometimes in life you have to make choices, and I’m staying here and I’m playing well,” said the Frenchman. “Now it’s down to myself to improve my game again and be even better this season. Some pundits have suggested that Southampton have become a selling club after losing the likes of Rickie Lambert and Dejan Lovren however, Schneiderlin doesn’t agree, believing his club have replaced their former stars with some quality players.